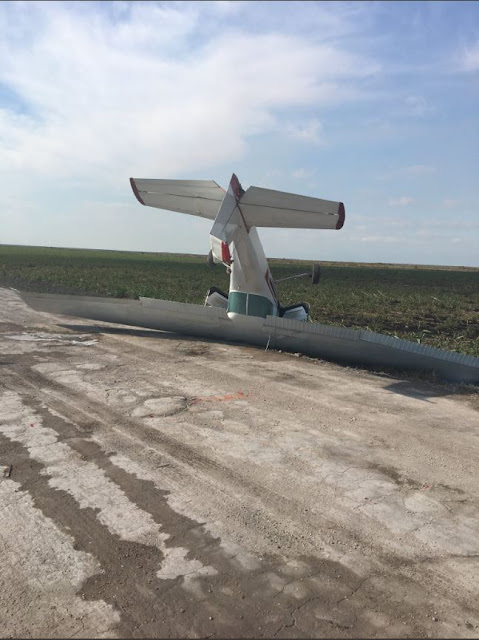 On December 17, 2018, about 1210 eastern standard time, a Cessna 152, N4886B, experienced a partial loss of engine power and was substantially damaged during a forced landing in a plowed field near Bell Glade, Florida. 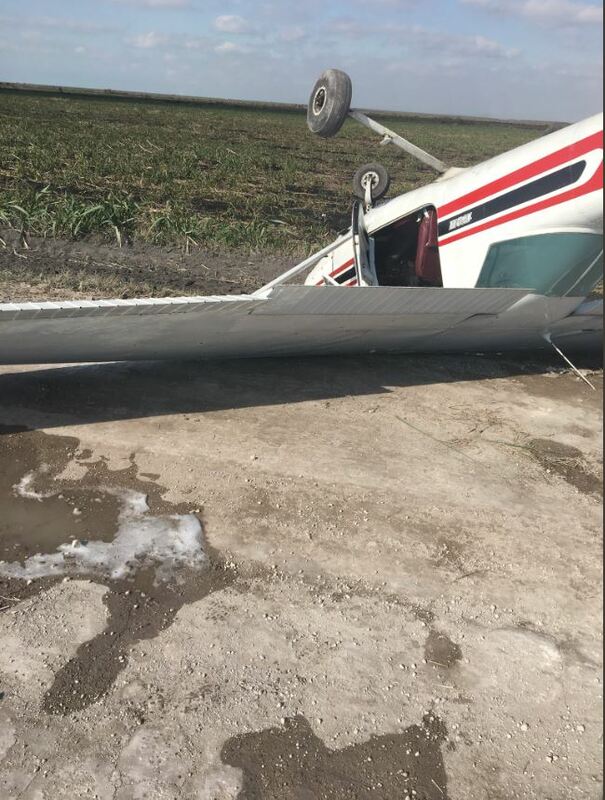 The private pilot and pilot-rated passenger were uninjured. 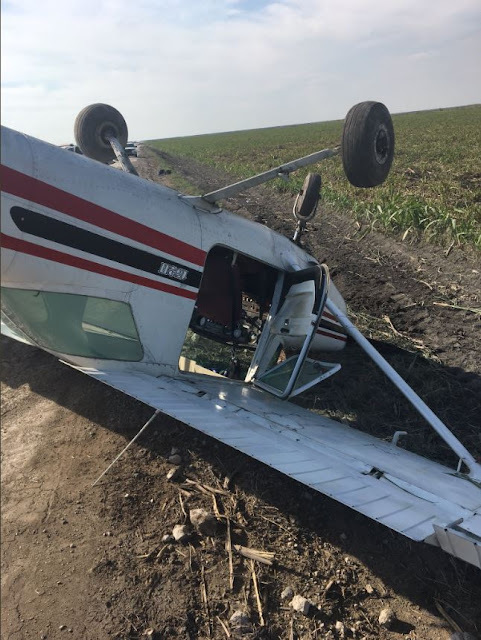 The airplane was registered to Troupial Aviation and operated by Orange Wings Aviation as a Title 14 Code of Federal Regulations Part 91 personal flight. Visual meteorological conditions prevailed at the time of the accident and no flight plan was filed for the cross-country flight. The flight originated from Lakeland Linder Regional Airport (LAL), Lakeland, Florida around 1035 and was destined for Pompano Beach Airpark (PMP), Pompano Beach, Florida. According to the pilot, they departed LAL and climbed to a cruise altitude of 5,500 ft mean sea level (msl) for the flight to PMP. After the initial descent and level-off at 2,500 msl, the engine gradually began losing power. He applied carburetor heat which initially restored cruise power. Several minutes later another partial loss of engine power occurred, accompanied by engine vibration. The pilot applied carburetor heat, however the engine continued to lose power and the airplane was unable to maintain altitude. He declared an emergency and elected to execute a forced landing to a plowed field. He completed the emergency checklist with the passenger, and then performed a soft field landing. During the landing rollout, the airplane flipped over shortly after the nosewheel made ground contact. Examination of the wreckage by a Federal Aviation Administration (FAA) inspector revealed that the airplane was intact and came to rest inverted at the edge of the field. The top of third of the vertical stabilizer was fractured and bent about 80° to the left. The right horizontal stabilizer and elevator were impact damaged. One propeller was bent aft with little or no chordwise scratching. The engine was examined at the direction and under the supervision of an FAA inspector after it was recovered to the operator's facility. During the examination the inspector noted that the upper valve spring seat on the No. 1 cylinder was broken. The cylinder was retained for further examination. According to FAA airman records, the pilot held a private pilot certificate with a rating for airplane single-engine land. The pilot was issued a first-class medical certificate on January 6, 2017, with the limitation "must wear corrective lenses." According to the pilot's logbook, he had accumulated 66.3 hours of flight time, all of which were in the accident airplane make and model. According to FAA airworthiness records, the airplane was manufactured in 1979. It was equipped with a Lycoming O-235-L2C, 110-horsepower engine that drove a fixed-pitch propeller. According to airplane maintenance logbooks, the most recent 100-hour inspection was completed on November 16, 2018, at that time the airframe had accumulated 3657.9 total hours of operation. A separate log maintained by the operator showed that the airplane had flown about 45 hours since that inspection.